KRASNODAR, Russia, February 3, 2012 (ENS) – The Russian government is preparing to allow construction of a cluster of ski resorts and roads in the Caucasus region that will alter one of Europe’s few untouched mountain wilderness areas. The development is expected to impact two biosphere nature reserves, two national parks, wildlife sanctuaries and a World Heritage Site. “Russian nature resources and environment ministry recently gave the Russian government a list of construction projects currently allowed to be placed in nature reserves,” says Suren Gazaryan of the nonprofit Environmental Watch on North Caucasus. Gazaryan expects that a decree formally authorizing this list will soon be signed by Prime Minister Vladimir Putin. By doing so, Putin will be signing “a death warrant” for Russia’s Western Caucasus World Heritage Site, said the conservationist. Also, “This will allow construction of ski lifts and slopes, as well as road and engineering infrastructure, to be built on the territory of two biosphere nature reserves, Kavkazsky and Teberdinsky, in the Russian Caucasus,” Gazaryan says. 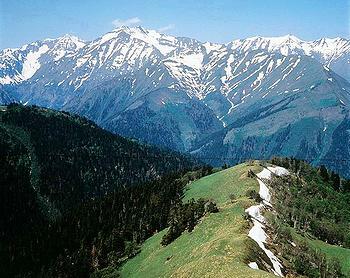 The World Heritage site is at the far western end of the Greater Caucasus Mountains within Krasnodar Kray and the republics of Adygea and Karachevo-Cherkessia. 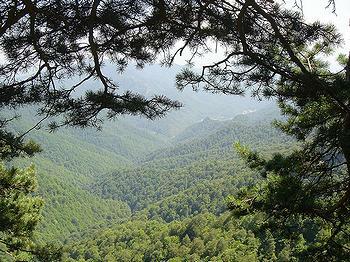 It is 25 kilometers (15 miles) from Sochi, the Black Sea coastal city that will host the 2014 Winter Olympics. 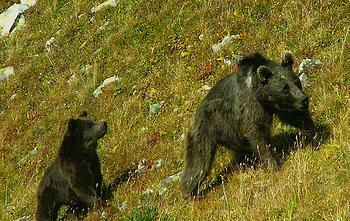 The Western Caucasus World Heritage Site is inhabited by 60 mammal species, including wolf, bear, lynx, wild boar, Caucasian deer, tur, chamois, and reintroduced European bison, which are globally endangered. Signs of the globally endangered snow leopard have been seen. There are 246 bird species, including many found nowhere else, of which 24 are nationally threatened and 24 globally threatened. The ski resort project has been named Altitude 5642, for the height of Elbrus, the highest mountain in the Caucasus. The developer’s goal is to host the first visitors by 2014. 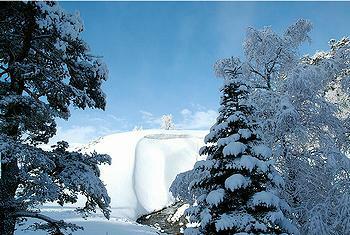 The planned total length of ski runs will be more then 1,000 kilometers (600 miles) and they will have 214 ski lifts. The hotels will accommodate 83,000 people. North Caucasus Resorts calculates that 150,500 people will visit the resorts each day during ski season, and each year the North Caucasus tourist cluster will be visited by five to 10 million tourists. The project is estimated to bring over 330,000 jobs to the region. The total cost of the ski project is estimated at 451 billion rubles (US$15 billion). The project is financed by a public-private partnership. Government plans to invest via NCR 60 billion rubles (US$2 billion) in transport and utilities infrastructure, while private business is financing the facilities of resort infrastructure, according to North Caucasus Resorts. The developer says the Russian government is considering the inclusion of the coastal area of the Caspian Sea in Dagestan, Caucasus Mineral Waters in Stavropol Territory, and the Republic of Ingushetia to the North Caucasus tourism cluster project. Instead of planning the resorts outside of protected areas to make these structures legal, Russian authorities changed the legislation governing protected areas. The Russian parliament, dominated by the United Russia party, ensured that amendments to the current law on protection of nature reserves make it possible to build in biosphere reserves, passing them on November 2, 2011. The company said changes to the law “were coordinated with environmentalists” after an earlier version of the bill was opposed by a coalition of 37 nongovernmental organizations, who sent an appeal to President Dmitry Medvedev against that version of the draft law. Akhmed Bilalov, chairman of the Board of Directors, North Caucasus Resorts says he also opposed the earlier draft. 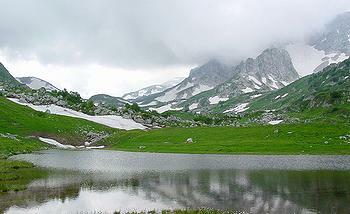 “The tabled version of the law is presented as dictated by the needs of the North Caucasus tourism cluster. However, some officials have tried to put into this law all their problems which they did not want to solve for many years. We will ensure, that the changes will affect only those sites that are being developed within the special economic zones for tourism and recreation under strict government control,” said Bilalov. Negotiations last October that included environmentalists produced an acceptable version. “The new version of amendments accords with most of the claims of environmentalists,” WWF Russia said in a statement in November. “We managed to find formulations that allow the development of environmental management in the biosphere ranges – that is their primary goal, but it does not entail damaging effects as the previous bill,” said Igor Chestin, director of WWF-Russia. This demand asks the reserve management to change its boundaries, allowing the resort to be built on the Fisht-Oshten mountain range, within the Western Caucasus World Heritage site, which includes Europe’s highest waterfall, karst limestone caves and underground rivers. At the World Economic Forum in Davos on January 27, Greenpeace International Executive Director Kumi Naidoo met with a representative of the French bank Caisse des Depots et Consignations, a main potential investor for North Caucasus Resorts. Naidoo requested that investors demand guarantees from the Russian government that any threats to protected areas and breaches in environmental legislation will be avoided as the resorts are built.